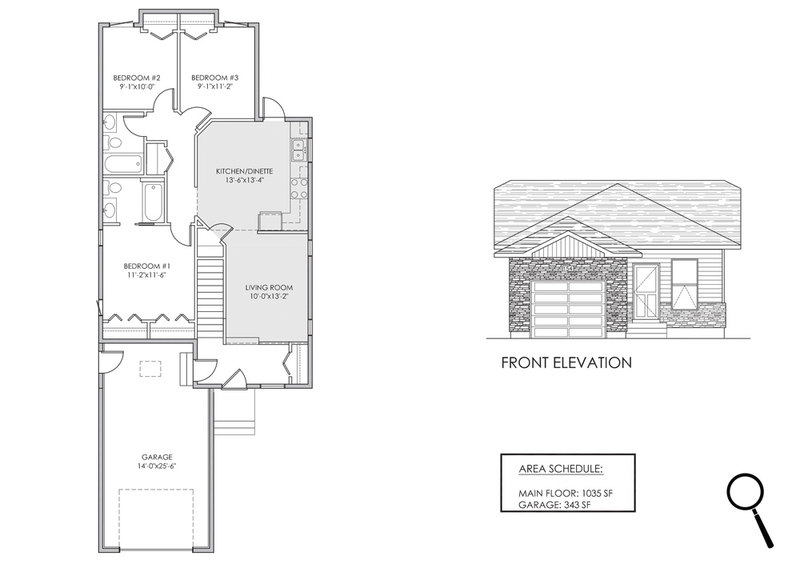 1035 sq.ft. 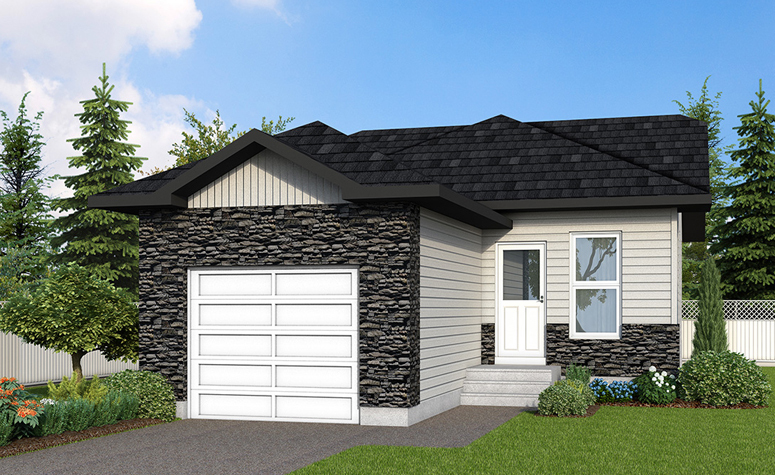 Raised Bungalow. 3 bedrooms. 2 full baths. Vaulted ceiling through the main living space. Attached single car garage. Custom cabinets with stainless steel dishwasher and OTR microwave included. Windows are Dual LowE with Argon and Sunstop. Poured concrete driveway included. Custom cabinets. Vaulted ceiling through linking room and kitchen/dinette. Single attached garage. Vinyl siding with board and batten gable accent. Also includes stone accents.